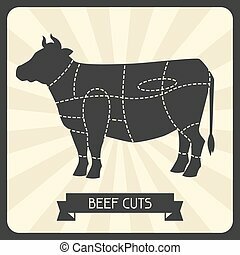 Beef-cuts. 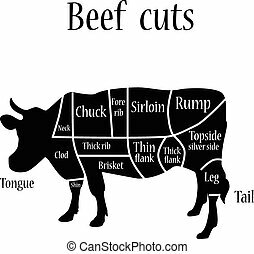 Scheme of the template - beef cuts. 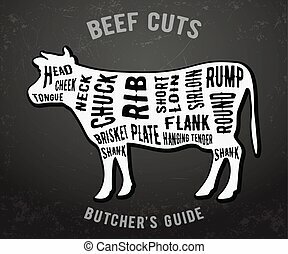 Scheme of the template - beef cuts. 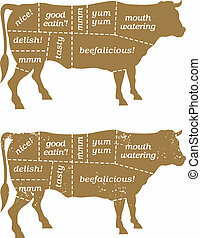 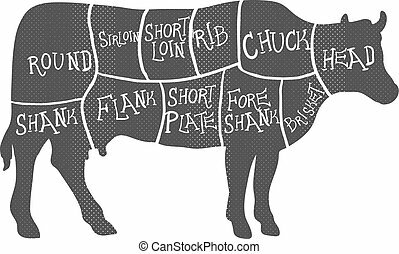 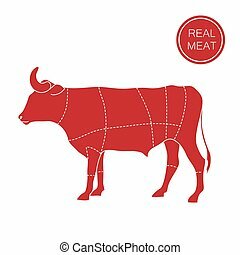 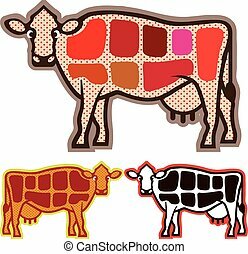 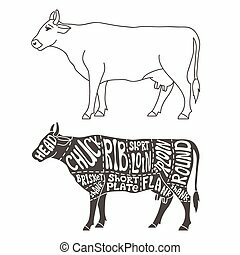 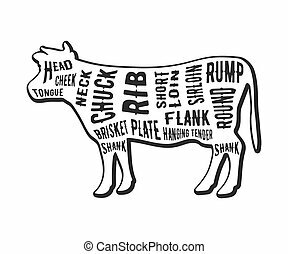 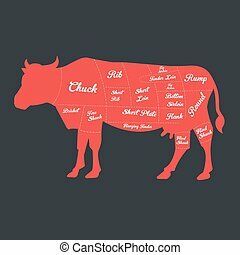 Illustration of cow black silhouette, beef cuts chart. 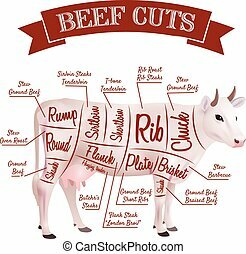 Beef cuts butcher chart. 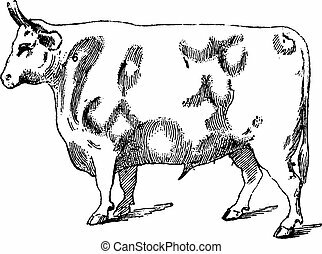 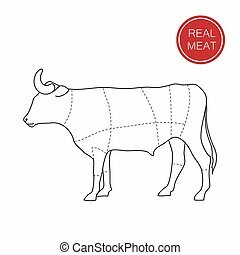 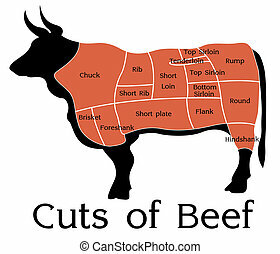 Illustration of Beef Cuts Chart cow. 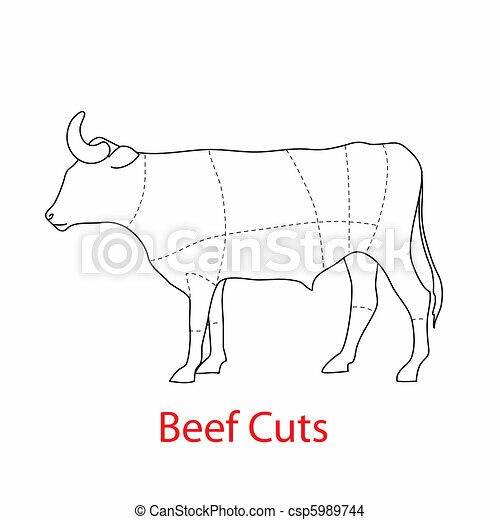 Beef cuts. 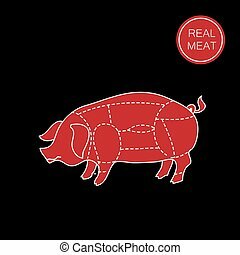 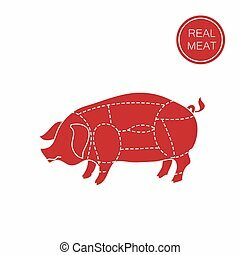 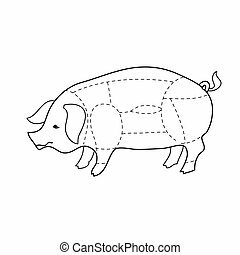 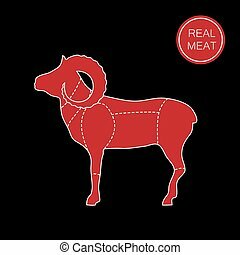 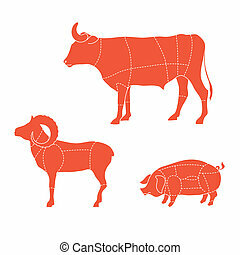 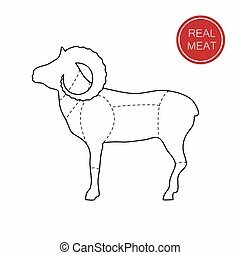 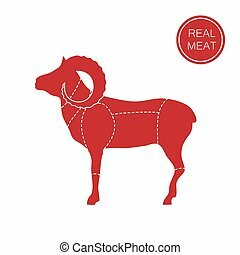 Butchers cheme cutting meat illustration. 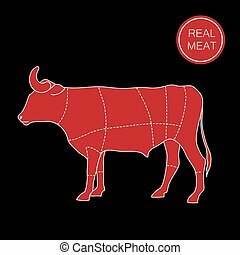 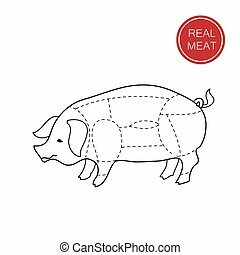 Real meat. 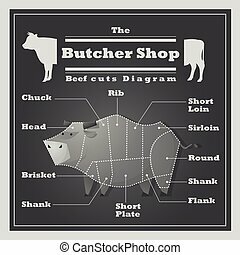 Butcher shop. 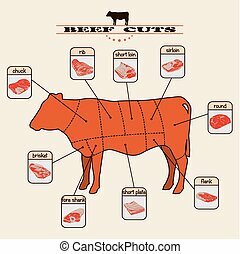 How to cut meat. 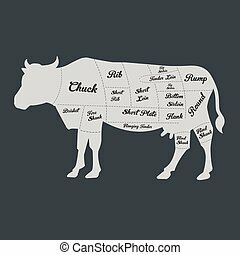 Barbecue, steaks, meat dishes.